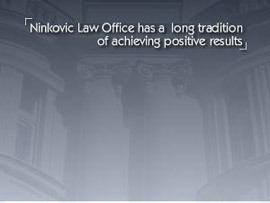 Ninkovic Law Office has its origins in 1938 when Milorad Ninkovic opened law offices in central Belgrade with three partners, Messrs. Boskovic, Jajagin and Rajic. Prior to setting up in private practice Milorad had worked as an Associate to a Commercial Court Judge. Initially, his practice focused on corporate and commercial law and civil litigation. Later he also took up criminal litigation work and developed a very good reputation as litigation counsel. In the early 1970s both of Milorad’s sons, Djurdje and Branislav, joined the family practice introducing new areas of expertise such as aviation, banking and finance, international private law and insurance law. It was at the beginning of the 1970s that Ninkovic Law Office was initially instructed to act on behalf of the Lloyd’s insurance market and it continues to do so today. In 1980 intellectual property was added as another area of expertise, when Mirjana Ninkovic, Djurdje’s wife, a registered patent and trademark agent, also joined. 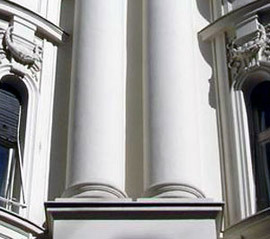 Over the last 25 years the firm’s practice has expanded substantially establishing a good reputation for advising international investors in Serbia. Today, Ninkovic Law Office has more than ten attorneys and associates providing legal advice and representation to domestic and international clients. It is a modern, forward-looking and vibrant law firm with the capability to handle the largest and most complex transactions and cases in Serbia while retaining a friendly, family firm atmosphere. It is listed by several international directories as one of the leading law firms in Serbia.